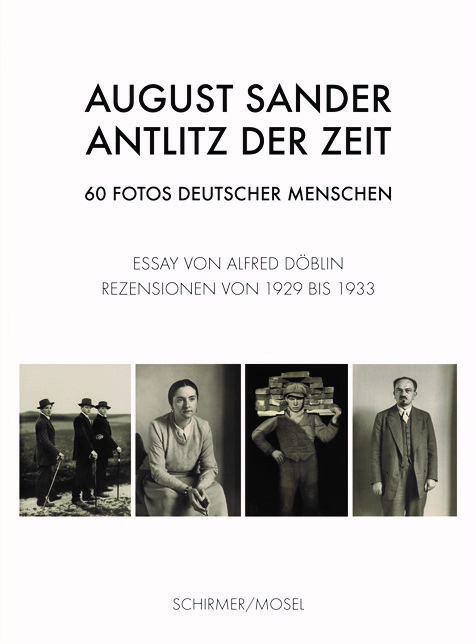 August Sander’s "Face of Our Time", is a legendary classic among photography books. Published in 1929, hailed by the press, writers, and artists such as Walter Benjamin and Walker Evans, it soon fell victim to Nazi censorship. Presenting the book, its history, and its resonance, this new publication features the original selection of portraits, Alfred Döblin’s introduction, and some 80 reviews published between 1929 and 1933. Schirmer/Mosel. With an essay by Alfred Döblin and reviews from 1929 till 1933. Ed Photographische Sammlung/SK Stiftung Kultur, Cologne. With texts by Gabriele Conrath-Scholl and Claudia Schubert. 200 pages, 64 duotone plates. Size: 21 x 28.5 cm, hardcover. German edition.